We believe investing in smart WASH programs reduces poverty. 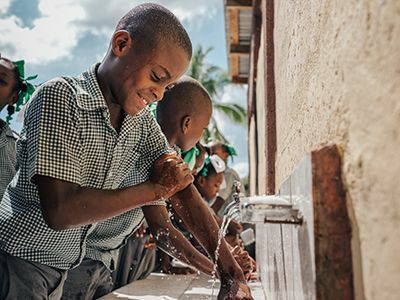 We’ve done the research, and we’ve seen the results of instituting clean water projects in Haiti: investing in smart Water, Sanitation and Hygiene (WASH) programs reduces poverty. Today, less than half of Haitians in rural areas have access to water, and an estimated 24% of Haitians living in rural communities have access to a toilet. 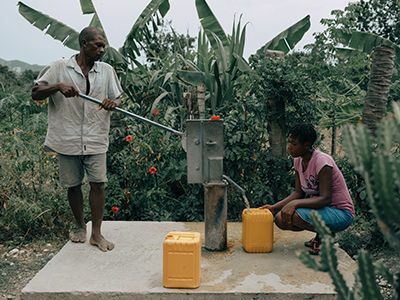 Access to clean, fresh water is a main concern in Haiti, where waterborne illnesses, such as typhoid, cholera, and chronic diarrhea, are the cause of more than half of the deaths in the country every year. Contaminated water is also one of the leading causes of childhood illness and the very high infant death rate in Haiti (57 for every 1000 births) . 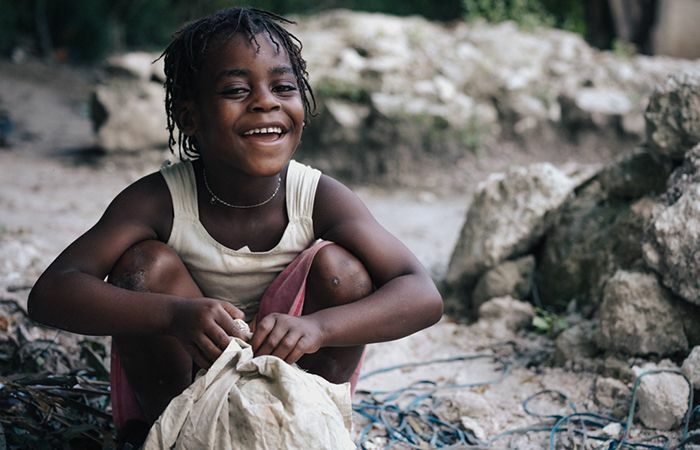 To address these challenges and help reduce poverty, Hope for Haiti implements a WASH program in 24 communities that focus on the following core activities. 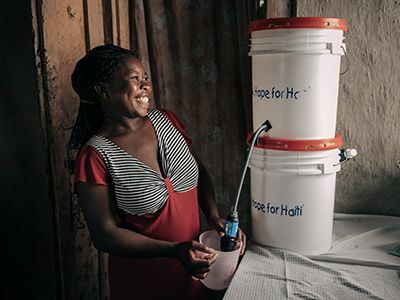 Hope for Haiti’s WASH staff work directly with community leaders to distribute and train families on the proper use and maintenance of Sawyer Filtration systems that can be used at the household level to filter up to 1 million gallons of water over a span of 10 years. Hope for Haiti’s WASH staff work with partner communities to identify water access needs, and support leaders in meeting their needs through digging wells, building water catchment systems, and repairing existing water sources. Hope for Haiti’s WASH staff help communities build critical public health infrastructure such as latrines and hand washing stations. 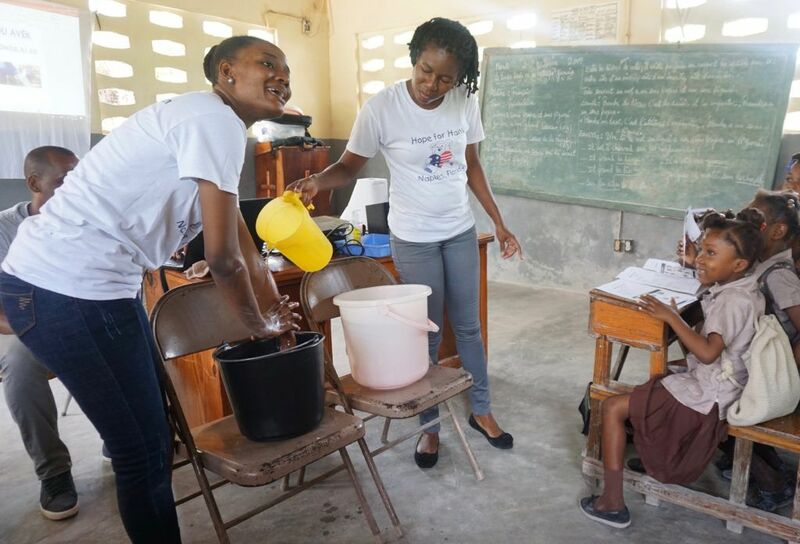 Our Healthcare team collaborates with our clean water projects in Haiti staff and community members to introduce public health lessons that cover hand washing, basic hygiene, the prevention and treatment of water borne illnesses. 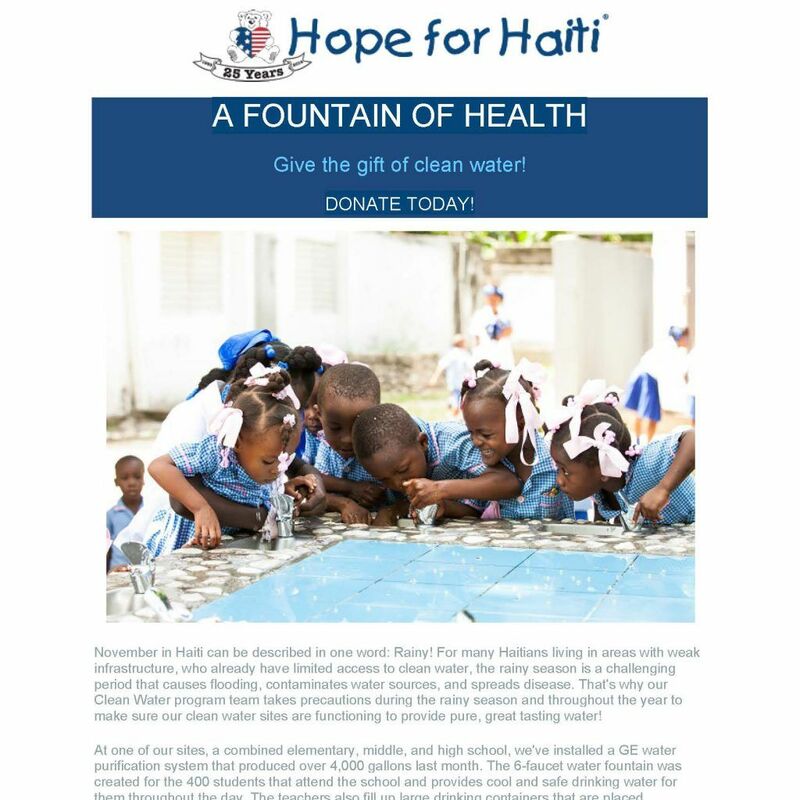 Support clean water projects in Haiti! Provides 10 gallons of clean water a day for an individual for a year. Provides one water filtration system to a family that will filter 1 million gallons. Build a well with submersible pump in a rural area. Builds a gender specific latrines and handwashing stations for a school of 300 students.